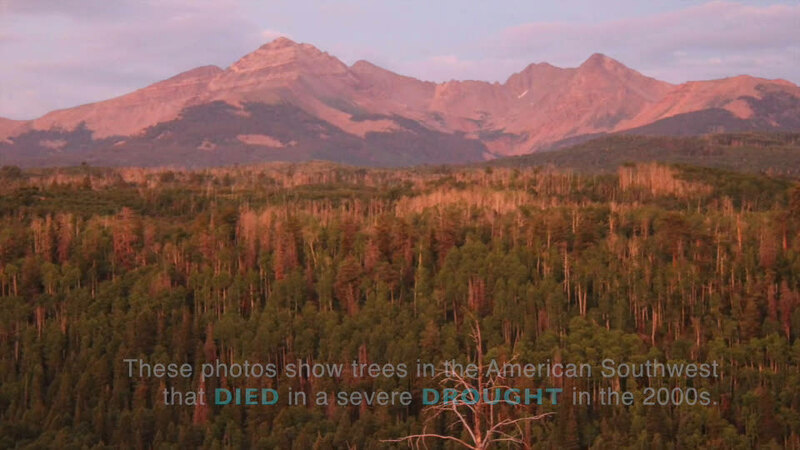 Trees killed by drought in the American Southwest during the 2000s. Credit: William Anderegg. Drought-stricken areas anxiously await the arrival of rain. Full recovery of the ecosystem, however, can extend long past the first rain drops on thirsty ground. According to a study published August 10 in Nature, the length of drought recovery depends on several factors, including the region of the world and the post-drought weather conditions. The authors, including William Anderegg of the University of Utah, warn that more frequent droughts in the future may not allow time for ecosystems to fully recover before the next drought hits. Droughts can be defined in several ways. The first is meteorological, defined as a period of less than average precipitation. The second is agricultural, in which the lack of rainfall impairs the productivity of plants. The third is hydrological, when water sources such as lakes, reservoirs, and aquifers begin to dry up to below-average conditions. Anderegg and colleagues' new study asks the question: What does recovery from all three of these types of drought look like in different parts of the world? "There was a broad presumption that ecosystems and plants recovered almost immediately when the weather got wetter," Anderegg says. "We didn't know what the patterns were globally, including which plants seemed to recover faster or slower and which variables influenced that recovery time." The measure they used to evaluate drought conditions is called the Standardized Precipitation-Evaporation Index. It's an approximation that takes into account temperature, soil moisture, recent rainfall and plants' demand for water. To assess drought recovery times, the team evaluated global satellite data to measure gross primary productivity, a measure of the rates at which plants convert sunlight into biomass. Drought recovery, they said, means an ecosystem fully recovers to its pre-drought productivity. Plants can suffer long-term, even permanent damage from droughts. "Plants can be irreversibly damaged during drought stress," Anderegg says. "They can lose part of their water transport systems, and that damage can take years to recover." 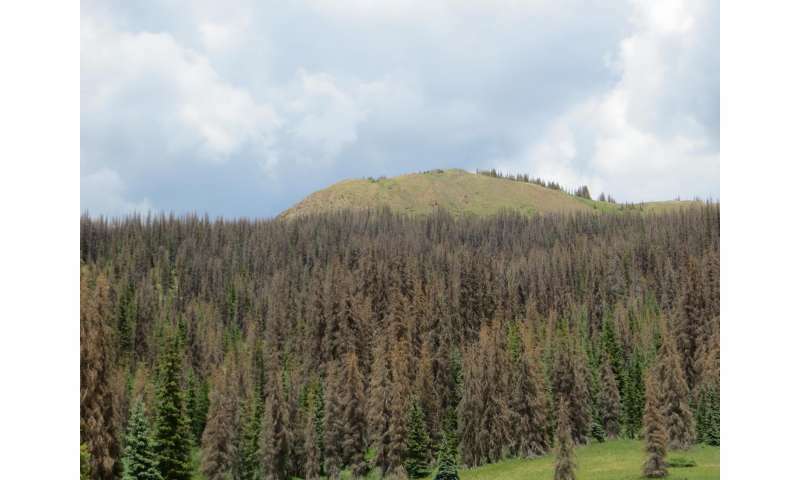 Droughts can also bring on more severe vegetation impacts like disease and fire. "That's an amplifier that can last past the drought." They found that the post-drought climate conditions were the most influential factors in drought recovery time. Wet conditions, such as those that slammed California after its long drought, hastened recovery. Dry conditions and temperature extremes, lengthened recovery. However, Anderegg says, "there are likely to be places in California where the drought was so severe that the ecosystem will not recover to the previous level because so much of the vegetation has died." Location mattered as well. In general, most areas of the world are able to recover from a drought in less than six months. Some areas need up to a year. But the high-latitude Arctic regions and the tropics of South America and Southeast Asia need more time - up to two years. "That's worrisome because those regions store the largest chunks of carbon in ecosystems across the globe," Anderegg says. With climate models forecasting that the extent and severity of drought is likely to increase, also increasing the likelihood that ecosystems may be hit with new droughts before they have recovered from the previous one. "That could have a double whammy effect," Anderegg says. "A second drought could be harder on an ecosystem and have the potential to push it off a cliff." Ecosystem collapse in the face of perpetual drought could change verdant forests into grass and shrubs. Such a double whammy hit the Amazon rainforest in 2005 and 2010, when back-to-back droughts, each with a once-in-a-century severity, hit the region. "Satellites showed that forests hadn't recovered from the 2005 drought by the time the 2010 drought struck," Anderegg says. The study underscores the importance of drought recovery time in assessing drought impacts on ecosystems. Rain brings relief, but doesn't solve drought-related problems immediately, Anderegg says. "Often recovery is longer than the drought itself." Good Article. No direct or implied blame of drought on global warming or fuzzy climate change. This must have been written by an honest individual who didn't see an need to link a drought to carbon dioxide. From this report we can see how science gets corrupted by the zealots who want the foolish and uninformed to believe that everything bad, like a drought, to be caused by CO₂. "California's drought is the worst in 1,200 years, evidence suggests"
Summary: As California finally experiences the arrival of a rain-bearing Pineapple Express this week, two climate scientists have shown that the drought of 2012-2014 has been the worst in 1,200 years. We can now go to the consistently wrong National Geographic Magazine, since they threw in with the anthropogenic global warming crowd, & see what they have predicted. "Worst Drought in 1,000 Years Predicted for American West"
"The chances of a 35-year or longer "megadrought" striking the Southwest and central Great Plains by 2100 are above 80 percent if the world stays on its current trajectory of greenhouse gas emissions, scientists from NASA, Columbia University, and Cornell University report in a study published Thursday in the new open-access journal Science Advances. […]In their study, Cook's team used 17 computer models of droughts and three models of soil moisture to predict the likelihood of dryness over the next century. After they found a high degree of agreement among the models, they applied them to data gathered from tree rings going back to about the year 1000." My, aren't those computer models wonderful tools to analyze the climate? California is so lucky to have "Moonbeam" Jerry Brown to pull them out of tight spots, when he is not in Beijing signing illegal treaties with the Communist Chinese. The most populated state in the country is facing what may be its worst drought in a century of record-keeping. On January 20, the governor of California declared a state of emergency, urging everyone to begin conserving water. Water levels in all but a few reservoirs in the state are less than 50% of capacity, mountains are nearly bare of snow except at the highest elevations, and the fire risk is extreme. In the 30 months preceding December 2013, the state has received closer to 33 inches, just a bit less than the previous record low for a similar period, from July 1975-December 1977. You must remember that the environmentalist had been telling the Californians that they were heading into a 1,000 year drought & it would never rain again or snow in the Sierra Nevada Mountains again either. "They've Seen Lots of Droughts, But This One's Different"
Remember that these are the same charlatans who want you to believe that they can predict what the climate will be like in the next century. Not a pep out of the national Geographic now that it has snowed and rained. New spring survey shows some drought relief but more conservation is needed to ensure adequate water supply." Now one can only wonder if she actually got away from her desk at Recreation Equipment Inc. to know what the resource actually consisted of. I wonder if ex-Interior Secretary Sally Jewell has heard since she left the agency just what is happening at the Oroville dam? SACRAMENTO - The Sierra Nevada snowpack continues to build during one of the wettest winters in California?s recorded history. All of this valid information is to demonstrate just how always wrong the fear mongering alarmist are. SACRAMENTO - Today's Department of Water Resources (DWR) manual snow survey at Phillips Station in the Sierra Nevada range found a snow water equivalence of 28.1 inches, a significant increase since the January 3 survey, when just 6 inches was found there. The average as measured at Phillips since 1964 is 11.3 inches. "Sierra Nevada snowpack is biggest in 22 years — and more snow is on the way"